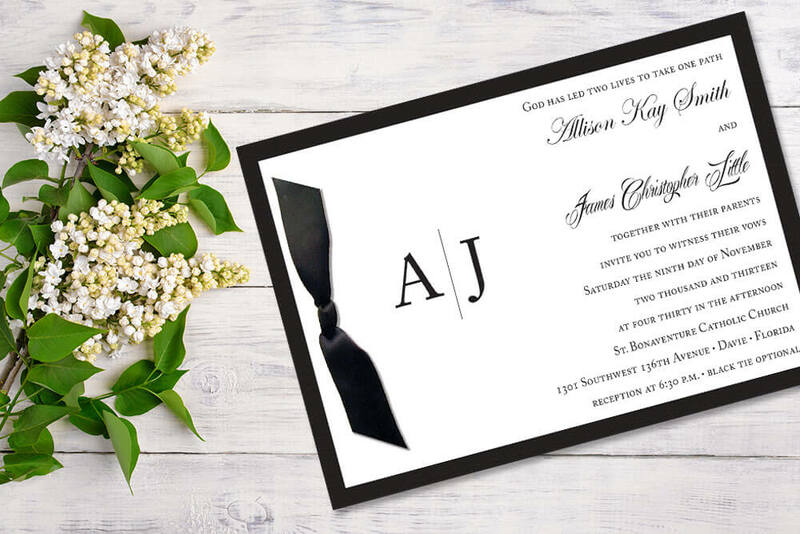 The Smith the perfect black tie invitation set. 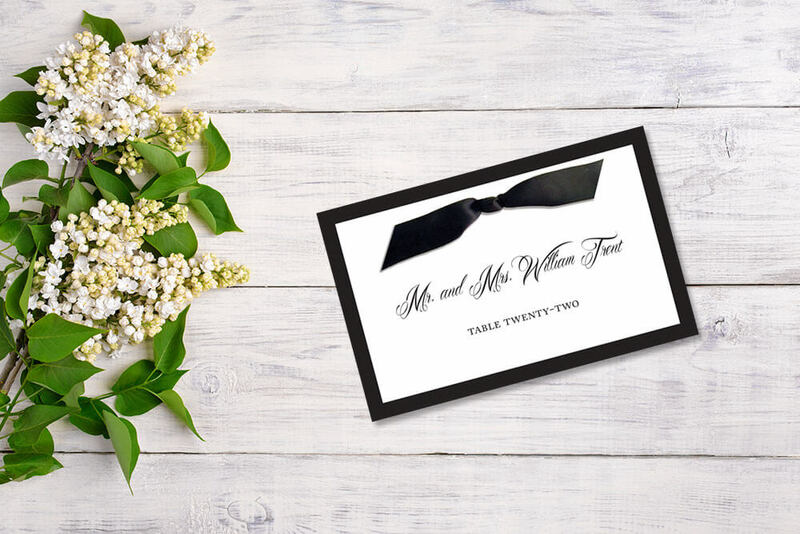 The design comes with a single back board and all of pieces are handed tied together with ribbon. 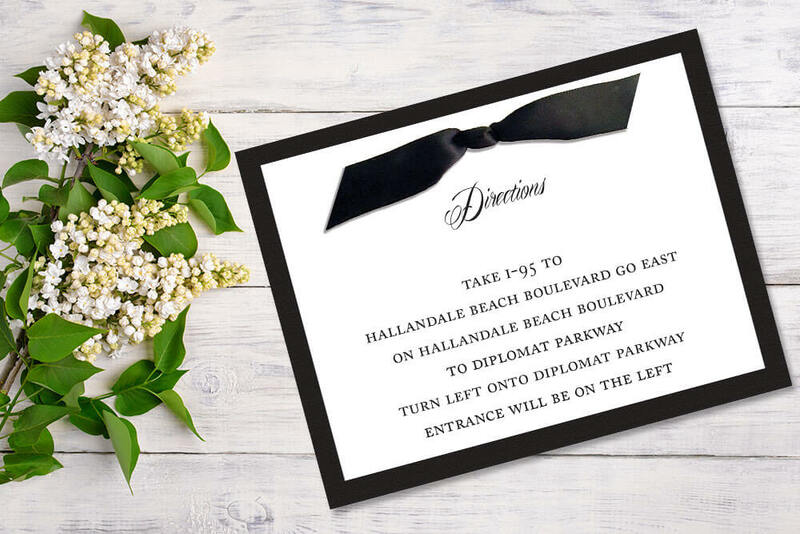 The invitation was printed on Crane’s Lettra® 110 lb pearl white paper and the back board was part of the Classic Crest® collection. Fonts used were Edwardian Script and Adobe Caslon Pro. The thank-you note is a flat card.